Shaping cultural narratives has always been a important to us, and we are all about sharing the stories and lives of especially women who are doing this in their every day lives. We’re all familiar with the notion of celebrities telling their stories and impacting large audiences with particular messages. What may be lesser known is what happens behind the scenes to help shape these narratives. In our current political climate, the importance of an impactful message cannot be understated, and someone who knows this well is Mona Elyafi, founder of the Public Relations company ILDK Media. 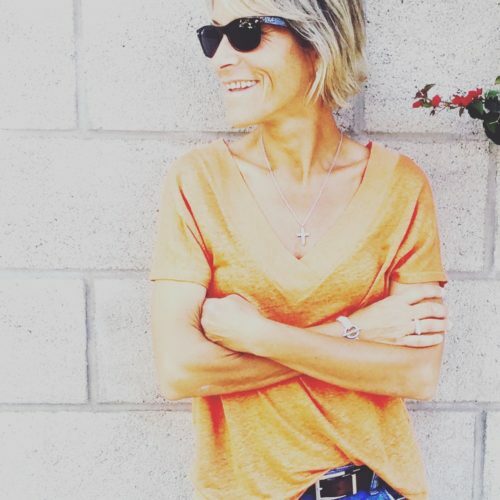 We have had the privilege of featuring a handful of her clients on GTHQ, and Mona’s own career journey and personal story is nothing short of inspiring. Her clients and work are dedicated to amplifying voices in the LGBTQ community as a way to combat the negativity we are seeing under the Trump presidency. At a time when Women’s Marches, the #MeToo movement and other grassroots activist efforts are leading the #resistance, Mona’s work behind the scenes in the entertainment world is a vital thread in this powerful tapestry. We decided to turn the tables and interview her for a change to learn more about the mission of ILDK Media, how her international upbringing played a role in her focus, and why storytelling is a powerful tool for changing narratives in the world. Tell us about starting ILDK Media and the mission behind it? After years working for some of the top entertainment PR agencies in Los Angeles (including The Lee Solters Company), I took a leap of faith and launched my own PR firm, ILDK Media, in 2004. The main objective in using my influence as a publicist, was and still is to not only empower women but as well artists exuding a genuine passion for their artistic craft and professional vocation. I named the company after my grandmother’s initials to honor the person she was – a woman who lived with boldness, intelligence, strong moral values, authenticity and kindness. She was my role model and continues to be my inspiration in my commitment to get the voice of my clients out. I am focused on putting passion into action and remaining –under the ILDK Media marquee – dedicated to being both a resource and an advocate for the value of diversity, inclusion, and women empowerment. Who are your ideal clients that you like to work with? Luckily I have not yet encountered a case of a “bad” client. I have been very blessed to work on incredibly amazing PR campaigns with extraordinary people. 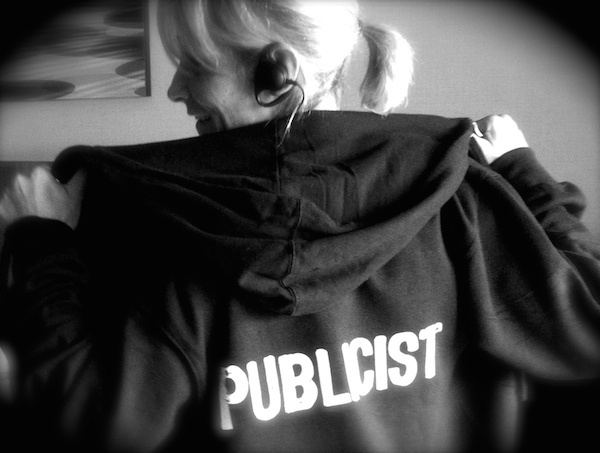 I personally never take on a PR campaign unless I connect with clients and believe in their message and impetus. Work wise my philosophy is always based on developing close professional partnerships with every client – partnerships that foster open communication and productive collaboration. 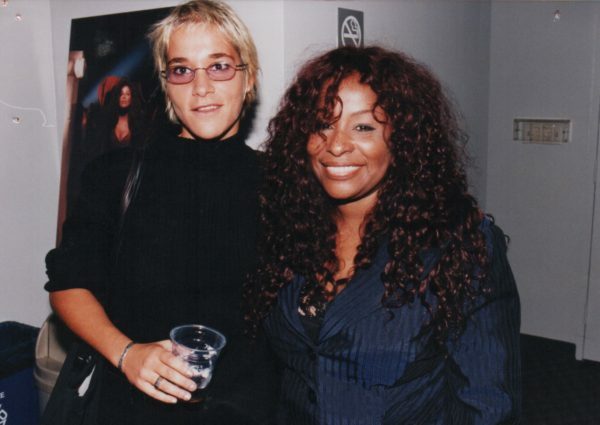 Mona as a Junior Publicist for The Lee Solters Company, with Chaka Khan in 1998 at the BET Awards. You also work with a lot of women in the LGBTQ community. Can you tell us why this is important to you? It is an important aspect of my work because I am a woman and a member of the LGBTQ community – so this is home to me; it’s my community and my family. I not only WANT but also NEED to work with women. I have made it my ongoing commitment to amplifying, championing and celebrating women’s voices. It really is about sharing an understanding for the different lives we as both women and lesbians live. It’s also about sharing a mutual respect and empathy for the struggles we’ve faced and continue to face; the obstacles we’ve overcome; and the battles we’ve won. How do you think your background, living in Lebanon and Paris, being raised by parents of two different religious backgrounds, has contributed to your passion for storytelling and amplifying the voices of LGBTQ people? Why is storytelling a powerful tool for changing narratives? Stories are told to change the world. That is fundamentally the #1 function of the art of storytelling. You offer a narrative that is relatable and puts a human face on sexual orientation, gender inequality etc. It’s about breaking taboos and eradicating ignorance. Stories are meaningful, memorable and have the power to unite because it brings forth our commonalities. It shows us that while we’re all different we also all in essence the same. Bottom line, giving individuals a mainstream platform to tell their stories to the world helps pave the way toward acceptance. Under the Trump administration we have seen some egregious attacks on the LGBTQ community – in education and the military to name just two areas. How can thee voices of your clients help push back against this regression? You can’t stay idle and you can’t keep quiet. I think that if anything this past election has proven that the country’s demographic makeup is drastically changing and the voices of many minority groups including women, and the LGBT community matter. These voices make for the new face of a changing nation – a nation that is based on and celebrates diversity. As the saying goes: There’s strength in numbers. The regression is real but temporary. We have to look forward to the future and give ourselves the tools to make a meaningful change and that starts at a local level. We can’t retreat into depression and grief and a paralysis of inaction. We have to take the reigns of our own destiny. 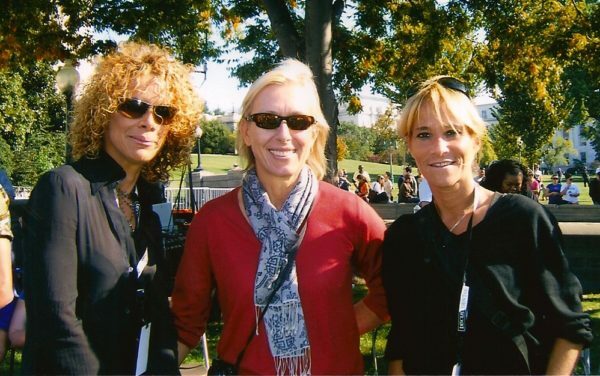 With client transgender Activist Michaela Mendelsohn and Katie Couric for the Nat Geo “Gender Revolution” documentary. Overall you say that you want to “change hearts and minds” through the stories and clients you work with. Can you share more about this mission and some examples of the impact you have seen in your work? I have been very fortunate to work on many LGBTQ projects that have focused on uplifting our community, teaming up with some incredibly talented individuals that I am proud to call my clients. From transgender activist Michaela Mendelsohn (Transcanwork), Mariah Hanson (The Dinah Shore Weekend), Christin Baker (tello films), E. Jag Beckford (Rainbow Fashion Week), to Marlene Forte (The Fosters, Familia), and just recently ClexaCon in Las Vegas, among others, these are all LGBTQ PR campaigns that spark more than a dialogue about diversity and equality, they’re also leading the mainstream headlines making front-page news. Staying at the forefront of change, ILDK has been instrumental in making LGBTQ agendas move into mainstream culture. Every LGBTQ PR campaign has, in its own way, aided in the empowerment of our community and contributed to changing the conversation about gender equality/women, gays, lesbians, and/or transgender today. If someone wanted to pitch you a story, what should they include and what do you look for? When I interview my clients at the beginning of a PR campaign, I always ask two questions: What makes you CURRENT? And how do you stay RELEVANT? That’s what I would look for. Something we like to ask our interviewees: what makes you a powerful woman? The most powerful tool we all have in our arsenal is honesty. So what makes us all “powerful” human beings – badass women – is the ability to always be true to ourselves and authentic. I am comfortable in my own skin and live my life on my own terms and in the driver’s seat. There are no boundaries stopping me to succeed. To me “impossible” really means ‘I’m possible”. To learn more about Mona or get in touch with ILDK Media, visit the website.